"I Blog Because" is an amazing Campaign which circulated Twitter for a while which was set up by John (@JohnRdtoVol on Twitter). This Campaign was designed to express what it's like to be a blogger within the blogger community. By sharing the reasons why we blog, this is a way to bring the blogger community together and support each other through our journey's. It makes me feel free. I'm able to write about what I want, when I want and express every little feeling and emotion I encounter without being judged. Well, at least I haven't been judged as of yet. I feel like I'm able to make a difference, it may only be a tiny difference but it's still a difference. Writing makes me feel so calm, it's therapeutic and it distresses me. Blogging has improved my confidence. I'm accepted for my true self and this is such an amazing feeling. The blogging community is so welcoming. I've been properly blogging since May 2016, however I've only known about this community for a few weeks now. Being able to make friends with others who make me feel like a belong is an exceptional feeling and regardless of whether they live miles away, I'm completely okay with this, because they still care. I love to help people. If i can help anyone, in anyway then I feel like I've done what I'm meant to do with my life. Writing is a passion of mine and I can express this through my blog. Every blogger goes through their own journey and we all start at the same place. 0 followers, 0 blogger friends, 0 views. Just a camera, and a laptop and our mind. However, our blogs make us feel free and alive. it makes us feel like ourselves because we can express what is going on in our minds, in the best way we possibly can. From this, we develop. We develop what our minds are capable of, how strong we really are and this is an inspiration to others. Us bloggers, we inspire each other, we inspire everyone to be the best person they can become. 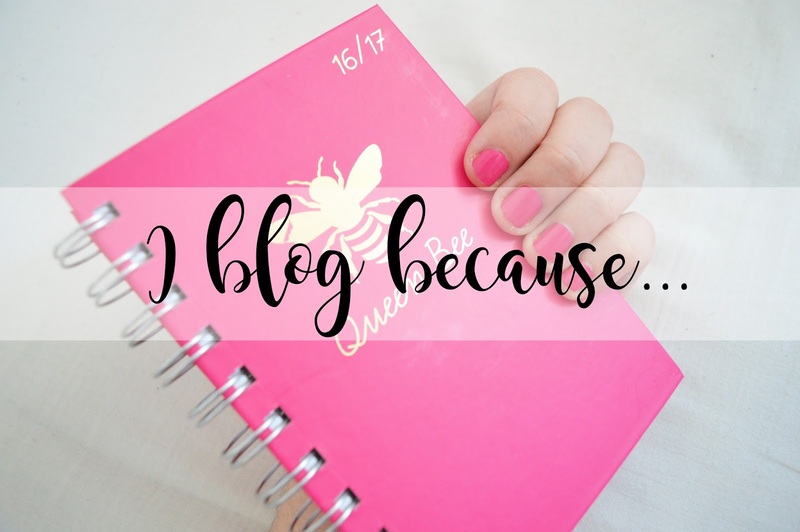 I blog because it's fun ! And I've met so many people through blogging, love it.